The reason varies why we need a mobile transfer software, in the process where you want to copy mobile data, including relevant individual information to the computer if the data is deleted or lost. You can sync gifs, sync songs, videos to mobile devices and play them anywhere. For better editing, to share recorded videos from mobile phones or for some other particular purpose, it is essential to download a mobile transfer application to create copies of real portable files. If you think the iTunes transfer option is easy to use as a critical point, IOTransfer3 should be the primary option. This rapidly expanding iPhone manager, specifically designed for file transfer between iOS devices and PC, presents a concise interface with an explicit feature of file panels including photos, music, videos, e-books, and much more. Features that help you understand how to use the program immediately, even without a guide. Instead of downloading all the content at the same time, you can select one or more photos, music, and videos. 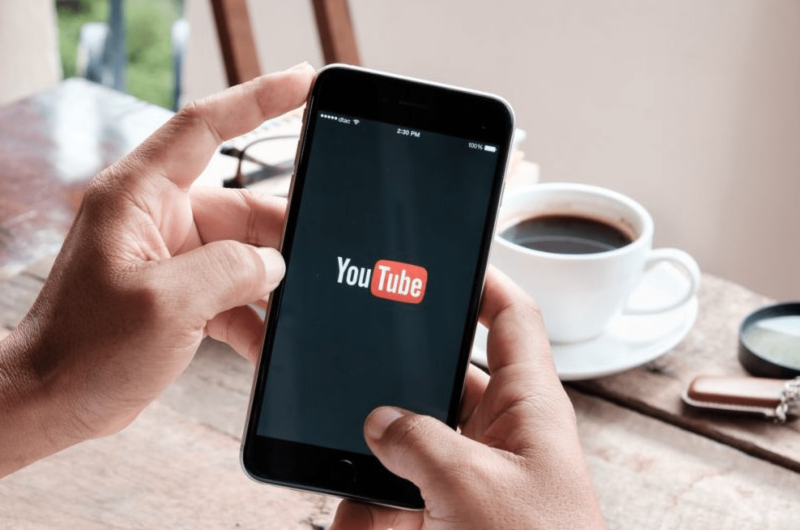 Consider that the videos stored on your device may be in different formats, some of which are not compatible with the specifications of the iPhone. IOTransfer3 includes a video converter that allows users to convert videos into iPhone compatible formats for smooth rendering. Also, IOTransfer 3 is compatible with newer iOS versions, making it compatible with the latest iPhone XS / XS Max / XR devices and other iOS 12 devices. The iPhone happens to be one of the most popular and appreciated smartphones in the world. This exotic device has only one drawback: its internal memory is limited, which causes many problems of memory. 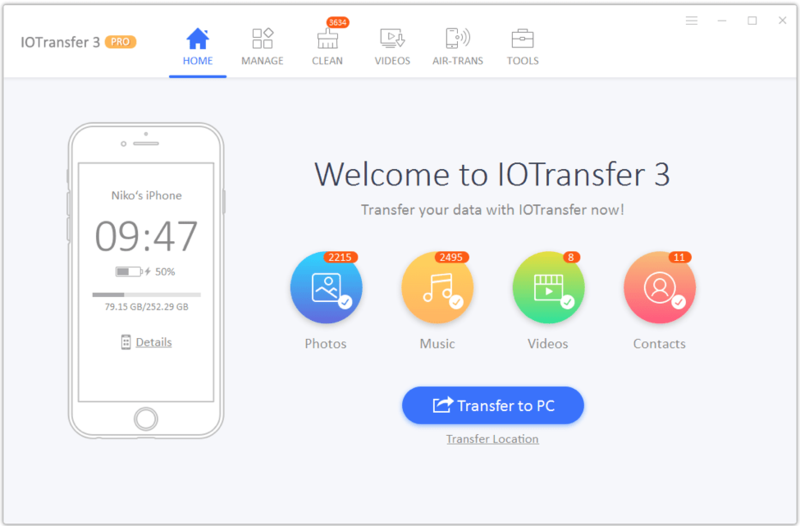 IOTransfer 3 has found a solution to help you overcome the frustration of memory and storage. 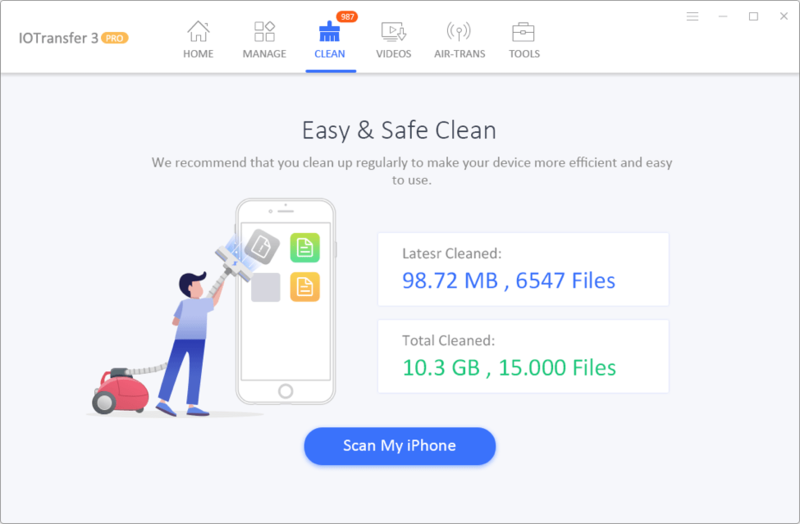 This iPhone cleaner carefully analyzes your iPhone and examines the amount of space that can be cleaned. IOTransfer 3 offers a click to delete all unnecessary files at the same time. GIFs are amusing, but they are even more fun when you can do it yourself. Did you know that you can create your animated GIF images by transferring one iPhone to another and sharing it instantly? GIF images are fun and a great way to express your emotions. The influence it has on an individual differs from the effect of an image or a video. They are much smaller and catch everyone’s attention when they are posted on a social networking site or sent to friends, as sending a collection of images to your friend may not be able to express your message or your emotions correctly truly. For example, if you want to display the rotation of a page in a book, the images taken in different cases do not show the impact, and a video file format would be conventional and too large for downloading. 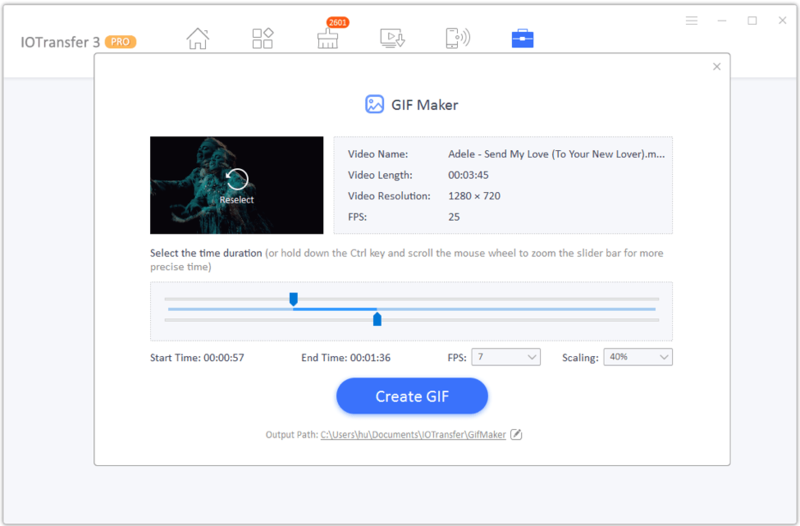 That’s why IOTransfer introduces an easy GIF maker, which allows images and videos to become GIFs. 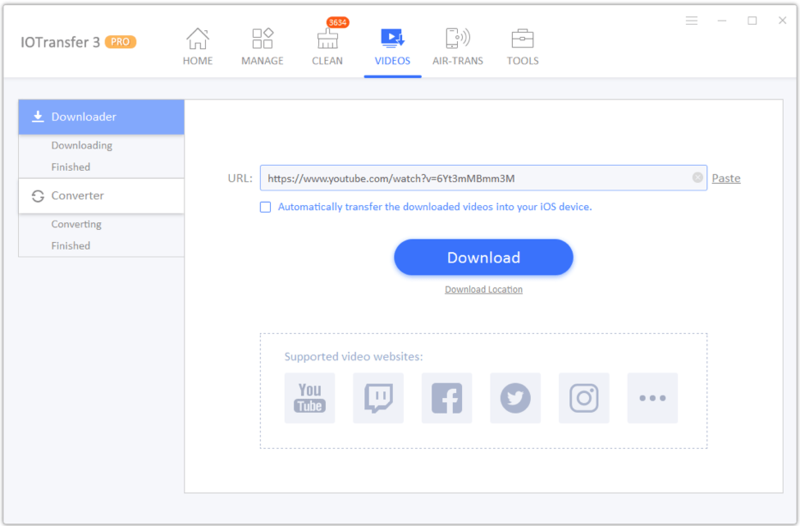 Want to download videos from YouTube, Facebook, Twitter, Vine, Vimeo or a video with the direct URL? You have the right application! With IOTransfer 3, you can easily download the videos of your choice and enjoy them at any time. IOTransfer is a powerful file manager, with a unique user interface, precise control, fast search options, and a quick download feature, free video download is a useful application.